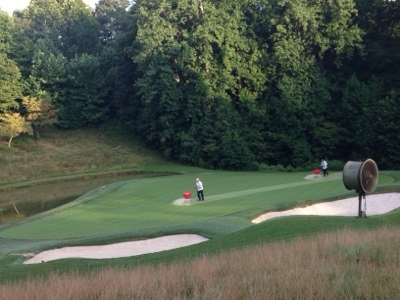 The staff is applying a light coat of topdressing to the greens. We do this three times a month with light push spreaders during the summer months. Topdressing helps to firm the putting green surface along with thatch reduction, Which is the soft feel under your feet).We also see some extra speed within a few days after doing this. 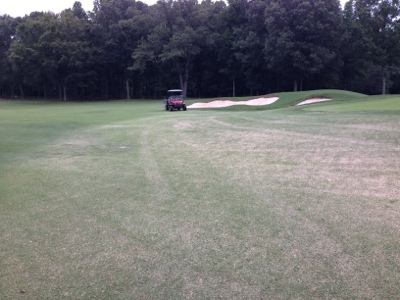 Approaches are also topdressed three times a months to assist with a firmer approach. This helps golf shots bounce up and onto the greens. We have seen good success with this program.